Could your online training course benefit from some friendly competition? Do employees need badges, points, and other incentives to increase their motivation? 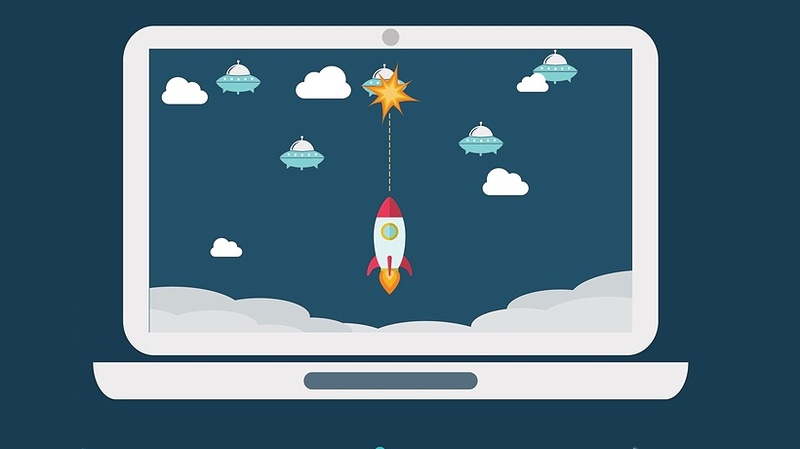 In this article, I'll share the 8 secrets to gamification success in corporate eLearning. Gamification gives your organization the power to engage and excite employees on a personal level. Your distributed workforce has the opportunity to win badges, progress through levels, and unlock rewards. All of this fuels their motivation and propels them to professional success. But where do you even begin? Here are 8 insider secrets to create an effective gamification strategy for your corporate eLearning program. Game mechanics give your employees motivation, but goals and objectives give them purpose. Your gamification strategy must be supported by measurable goals. What do your employees need to achieve? Which performance or skill gaps do they have to fill? Ultimately, gamification has to reinforce favorable behaviors and guide employees in the right direction. For example, you should reward employees for building essential skills and improving task proficiency. Employees who are ready to dive into the online training experience should be rewarded. After all, they are making the effort and taking a proactive approach. One of the best ways to fuel their enthusiasm and recognize their hard work is start-up points, or badges that they can proudly display on their personal homepage. However, you should also consider late-starters, such as new hires who join the organization in the near future. These individuals must have the opportunity to participate without being discouraged. To keep them in the "game," offer a start-up bonus of points or a special badge if they meet the requirements. The reward should match the effort. This requires a well-organized set of gamification criteria. Which activities or behaviors are you going to reward? And how? For example, every time an employee successfully completes a new task simulation they earn 5 points, or move up the leaderboard one spot when they pass a compliance online assessment. In addition, make these guidelines fully transparent so employees know what to expect. Better yet, create a chart that clearly outlines which online training activities merit rewards and how they can earn extra incentives. Also, continually track employee engagement to ensure that rewards are effective in the long-run. The reward itself should be good enough. However, it's always wise to package the incentive with aesthetic appeal. For example, colorful badges that feature unique graphics, or a point system chart that includes compelling images and borders. These visuals may not be a deal-breaker, but they can give employees that extra nudge they need to actively participate. Alternatively, offer your staff the chance to customize their own rewards. Get their input and then design rewards based on their interests and personal preferences. Many organizations turn to gift cards and other extrinsic rewards to motivate their employees. However, this usually defeats the purpose of gamification in corporate eLearning. Employees are focused on earning these extrinsic incentives instead of improving their skills and work practices. As such, they are less likely to make a meaningful change. For this reason, intrinsic motivators are your best bet. Badges, points, and levels encourage employees to perform at their peak in order to fulfill their potential. Badges may not have any real world value, but the skills and knowledge employees gather are worth their weight in gold. Leaderboards combine the best of both worlds. They allow employees to work on their weaknesses asynchronously. However, they also have the opportunity to display their accomplishments and compete with their peers. Just make sure that everyone adheres to the same criteria and knows what's involved. For instance, how they can rank-up and achieve the top position. Keep in mind that leaderboards may not be ideal for every corporate learner. Some might prefer to earn badges or certificates. For example, introverted corporate learners who like to go at their own pace. Gamification in corporate eLearning must be personal and relatable. Above all else, employees have to be emotionally invested in the online training experience. One of the most effective ways to achieve this is by framing it with a story. Put your employees on an epic quest where they can earn badges and advance through the levels. Introduce memorable eLearning characters to make things more interesting and immersive. Start with an eLearning storyboard to map out each scene, then incorporate the game mechanics. This also helps you stick to the learning objectives and impart the key takeaways. At one time or another, we've all participated in a game that was just too complicated to follow. We weren't sure how to play, let alone how to win. Thus, we never truly immersed ourselves in the gaming environment. The same principle applies in gamification. Simple is always best, especially when it comes to reward criteria. Specify how employees can earn each reward and the real world benefit it brings. For example, they can earn the health and safety certificate by completing the compliance online training module. This reduces workplace injuries and ensures the wellbeing of their co-workers. Avoid complex rules and guidelines that make the process more difficult, such as half-points or combined systems. For instance, collecting 50 points earns them a badge, and 5 badges gets them a certificate. Keep things simple, fun, and engaging. Gamification success relies on employee engagement, effective game mechanics, and intrinsic motivation. Rewards are not simply rewards. They are a means to inspire your employees and help them achieve their potential. Use these 8 secrets to give your staff the same opportunity. Do your employees know how to tackle any challenge? Are they ready to put their lateral thinking caps on? Read the article 7 eLearning Gamification Tips To Enhance Problem Solving Skills to learn about the top tips that can help you enhance your employees' problem-solving skills with eLearning gamification.